As referenced last week, I've spent some time vetting ammo choices for toting and home defense in a 9mm. As part of the process, I've devoted a good deal of time watching ammo performance reviews, especially gelatin block test firings, on YouTube. Based on the reviews, two of the best performers in 9mm short barrel pistols appear to be Speer Gold Dot and Federal HST varieties. Good luck finding 9mm Gold Dot or HST. It's way scarce except at vendors who've apparently hiked pricing to keep all but the most motivated buyers away. There's something else I've noticed. While +P and non +P 9mm hollow points seem to work acceptably well in guns with 4 inch or longer barrels, non +P jacketed hollow point ammo is far more likely to suffer expansion failure when shot from a 3-inch barrel and then passes through denim on the way into gel. And failure to expand often leads to drastic over-penetration. Those who pack non +P rounds, thinking less power means less penetration risk, may want to rethink their ammo choices. Especially when carried in one of today's smallish carry guns. In 2009, Obama used Caterpillar as an example to launch his sales pitch for stimulus. Now six years later, Cat still lacks traction in the progressive USA and world economies. This year is the company’s third consecutive down year for sales and revenues, and 2016 would mark the first time in Caterpillar’s 90-year history that sales and revenues have decreased four years in a row. “Our strategy is to deliver superior total shareholder returns through the business cycle, and growth is a key element of that strategy. However, several of the key industries we serve – including mining, oil and gas, construction and rail – have a long history of substantial cyclicality. While they are the right businesses to be in for the long term, we have to manage through what can be considerable and sometimes prolonged downturns,” added Oberhelman. Today’s announcement is in addition to significant actions already taken. Since 2013, Caterpillar has closed or announced plans to close or consolidate more than 20 facilities, impacting 8 million square feet of manufacturing space. The company has also reduced its total workforce by more than 31,000 since mid-2012. Ugly stuff here, despite the company's best possible spin on things. Building for a stronger future, it says. Sounds more like the Cat's bracing for a long and deep economic downturn that's already well underway. The whitewash continues to fade on the modern Potemkin economy. First was this. Anyone care to dispute the accuracy of the comparison? And then there's this. And yes, these stats are the same or simliar to those widely reported. 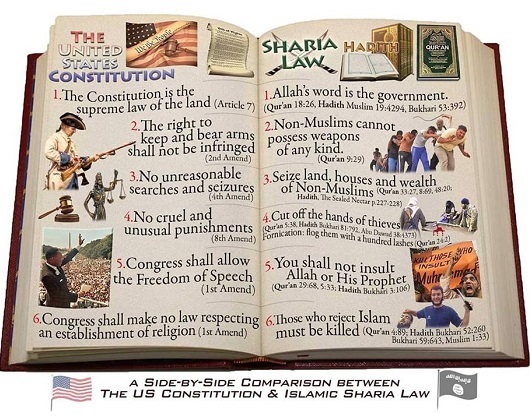 The United States government is knowledgeable enough to be versed on Sharia and the Koran, and should be seeing Europe under the crushing blow of a migrant invasion with great potential to evolve into something far more destructive. So please explain why the United States government, under Barack Obama and Secretary of State John Kerry, express urgency to ramp up airlifts and escalate a government funded branch of this stealthy invasion into the U.S.? I find it unsettling so many past and present members of Congress suddenly swell with words of praise for soon-to-be-gone House Speaker John Boehner. Speaker John Boehner is a solid conservative who worked with every fiber of his being to move America back to a conservative path. Yesterday was in many ways the high point of his Speakership. As a devout Catholic he had always wanted to host the Pope for a joint session. Today was the right day for Speaker Boehner to announce his retirement. He is a new grandfather and nothing would surpass the Pope's address. It has been an honor to work with Speaker Boehner over the years, and I wish him all the best in his retirement. Mr. Gingrich, please tell me your Facebook account has been hacked. The real Newt Gingrich would know Barack Obama's fundamental transformation was only able to roll forward the past four and a half years because Speaker Boehner made sure funding was available. I’m grateful for the sacrifice he and his family have made over the years as he served the American people with distinction. I wish him the very best, and remain committed to continuing the work of moving America in the right direction. Again, I felt a responsibility to add a bit of balance. From the start, Boehner was a promise-breaker. Only direction he's moved the country in since rising to speaker has been one in line with Obama's progressive fundamental transformation. Boehner has waged war with the people who were once the party's base, and attempted to punish Republican members of Congress who dared to represent constituents if what constituents wanted went against his dictates. I certainly don't see what Speaker Boehner's done as being in the right direction. Served with distinction? He's been an out-right embarrassment. The term serving with distinction has come to have an odd and twisted meaning in today's Washington Dc. I'm reminded Obama foreign policy adviser Susan Rice used the term to describe Bowe Bergdahl upon his release from the Taliban in Afghanistan. 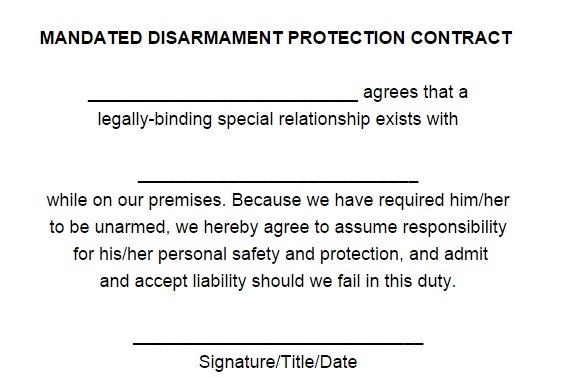 Know a business or other entity that declares itself a "gun-free zone"? Think you'd get any takers? House Speaker John Boehner announces his retirement from Congress. Actual departure date said to be sometime in late October. Conventional wisdom says it's the looming budget fight and potential for another government shutdown that prompts his departure. But I have to wonder if Mr. Trump doesn't play part here. Boehner's departure would not be such an urgent matter if Trump wasn't crushing establishment candidates in the GOP presidential race. I'm not necessarily a Trump supporter, but Trump has worked miracles in showing how disenfranchised the Republican voter base has become with the party's established leaders. Unable to comply with government mandated deadlines, vast sections of America's railroads may cease operations by year's end. I've been what you might call an old-school gun guy. For semi-autos, my preference ran toward stuff like a Beretta or Taurus 92, maybe a Beretta Tomcat in .32 for pocket carry. When it came to handguns, I've leaned to tried-and-true classic wheel guns like the Smith and Wesson Model 10, or a Ruger Service Six revolver. Some of the new alloy snubbies only reinforced my old school preference, the recoil just kills my hand and wrist when a gun's too light. Gotta say, it was my wife who put me on the path to composite enlightenment. She likes to shoot a Glock. And because she shoots a Glock, I tried a Glock. It's a sweet experience. And accurate way, way out. Yesterday, I shot a Ruger LC9s. Always assumed a smallish 9mm pistol would be like a snubbie revolver, a real pain to shoot. I was wrong. Sure, there's some recoil. But not near what I would have previously expected. So what's up? Why are these newer technology semi-autos so much more pleasant to handle? I suppose part of it is the softer composite grips. Sometimes there's a double recoil spring. And there's the cut of the gun itself: Your hand grips higher, and the barrel a wee bit lower on many newer pistols. This means a muzzle blast puts less torque on a gun when it's held properly and fired. Less torque (less recoil, if you will) means less shooter fatigue, and a faster ability to get a gun back on target after a round is fired. And the lighter guns are so much easier to carry. In a proper pocket holster, you can carry something like a Ruger LCP or a Kel-Tec P32 all day, and almost forget it's riding in your cargo shorts. A heavier old school pocket gun like the Tomcat can really beat up your leg in the course of a day, even in a proper holster, just from normal movement associated with walking or other daily activity. Don't get me wrong, I still have my old school favorites. Was a time some of them were considered cutting edge. But I'm also seeing great advantage in some of the newer options. I'm not trying to talk anyone into giving up their favorite 1911. But if you haven't tried any of the newer semi-autos, ask to shoot a buddy's, or rent one for a range session, if for no other reason than to better understand what other folks are using. The more I read, the more the so-called Republican leadership in the U.S. House of Representatives disgusts me. Seems a congressman dare not cross the speaker without fear of retribution. Republican sources say an ally of Rep. John Boehner (R-Ohio) has attempted to recruit a primary challenger against the GOP lawmaker who introduced a measure to oust the Speaker. Three senior GOP sources told The Hill they've heard Rep. Patrick McHenry (R-N.C.) has reached out to Republicans in North Carolina’s 11th District to gauge their interest in launching a primary challenge against Rep. Mark Meadows (R-N.C.). The Republican establishment now acts a lot like old-style Soviet commies when it comes to stifling dissent, and wanting to pick and chose who runs for office. I've always enjoyed shooting 9mm pistols. I've always considered 9mm sufficient for a self defense round. Then along came .40 caliber, and many police departments quickly migrated there. Just another nail in the coffin. More proof the 9mm was on its way to becoming a relic of history, or relegated to being a sport shooting round. But yeah, there might be some hopeless neanderthals like me who still packed it for home defense or concealed carry. Now that ammo shortages appear to be over (at least for now), I've been shopping for 9mm rounds, seeking a balance between price and performance. In the process, I've learned something. 9mm is making a comeback. An October 2014 article at Concealed Nation notes the FBI now favors 9mm as its primary round. Less recoil, less firearm wear and tear, and a higher ammo count in 9mm handguns versus .40 caliber were among the reasons cited. Another article, at PistolTraining.com asserts that the 1990s push to .40 caliber from 9mm was as much a result of then-enacted national Assault Weapon Ban as it was a quest for better handgun performance. The AWB allowed gun manufacturers to buy back previously issued LE magazines and resell them on the commercial market. That made all those used, abused, high capacity magazines worth their weight in gold. So manufacturers went to agencies and offered to trade them, at no cost, new & improved big-caliber guns for their wimpy little 9mms. The agency got a new gun that fit in its current holsters, replacing old and sometimes completely worn out guns. The administrators and union leaders got to parade the new guns in front of the troops as proof that they were Doing Something Important. And the gun companies got a bunch of guns that they could refurbish for a few dollars and then sell for a small mint simply by supplying one of those pre-ban high capacity magazines in the box. Advances in ammo technology are another reason for the current 9mm revival. Many of the newly designed bullets simply offer better performance than the hollow points of 20 years ago. Which brings me back to my original task. Finding the right ammo. I'm not looking for a super charged LEO round. My primary quest right now is to find an optimal round for home defense. A round with consistent performance, but one not subject to over penetration in a home setting (Any round's going to penetrate, that's what a bullet's supposed to do. I'm speaking in relative terms). There are so many different 9mm rounds available, I'm still trying to sort through the options. Some of the newer self-defense rounds can be pretty pricey, especially if I want to put a few hundred through the gun to test performance prior to loading a mag for home protection. I suspect it's worth the cost. On the other hand, some of the older style rounds (often marketed as "classic") are again selling for not much more than typical FMJ target rounds. It might not be a bad idea to lay a stash of classics in reserve should ammo supplies get tight again. It could also be used for practice from time to time. With most ammo availability and pricing now close to what it was in pre-panic 2012, this is might a good time to top off all your ammo inventories. If you're not prone to keeping a reserve stash, it may be time to start building one. With elections about a year away, we may again soon see new rounds of gun and ammo restrictions proposed, resulting in another surge in buying. Panic buying made for retail shortages in 2008-09, and against in 2012-13. If the trend holds, we'll be due for another in late 2016 or early 2017. It seems there was a time that Carly Fiorina clamored for Cap and Trade. Listen to how Carly Fiorina once gushed over the idea. And was so excited to be cheerleader for John McCain, who she said was going to make it happen. Hardly an outsider. And hardly conservative. I'm not sure what Carly Fiorina is now. But only a socialist or a lunatic would think government orchestrated artificial scarcity is a path to economic growth and prosperity. They seem to keep enabling those who want us dead. Got your papers in order? Multiculturalism and immigration are taking a deeper toll on American culture and citizen liberty. If this is accurate, some Americans will soon be treated as outsiders in their own country. 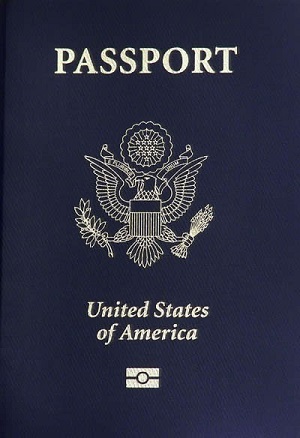 The Department of Homeland Security and representatives with the U.S. Customs and Border Protection have declined to comment on why certain states have been singled out, but starting in 2016, residents of New York, Wisconsin, Louisiana, Minnesota, New Hampshire, and American Samoa will need a passport to fly domestically. All other states will still be able to use their state-issued driver’s licenses and IDs — for now, at least. Government demands greater security and loss of citizen liberty for undisclosed reasons, even as it continues in its failure to enforce the southern U.S. border, and makes excuses to justify escalation of immigration airlifts from the Middle East. Update: More from the Trump archives here. Illegal immigrants continue to surge across our southern border, even as Obama talks of ramping up new rounds of airlifts to bring refugees from the Middle East. Obama takes our once united nation, and splits it into various tribes competing with each other for favor from Washington. Obama, son of an anti-colonialist, uses colonialist methods to dilute the role of, and literally displace, American citizens. Which founder would you vote for? It tallied me as a George Washington voter. I must add, however, some of the questions might have employed a wider choice of viewpoints in their answers. Question #2 was one of those, I'd have preferred an answer of split powers between individuals and the states, because that's how the Constitution originally set up the House and Senate. Three days ago, Iran released a video showing imagery of Iran waging war on America. Among the targets, an American battleship. Last night, Donald Trump made a foreign policy speech from the deck of the USS Iowa, a retired battleship like the one in Iran's video. Kicker is, there are no operational battleships. The last two were struck from the U.S. naval registry nine years ago. Trump's campaign announced his battleship event nine days before Iran published its video. Is the common thread of a battleship a coincidence? Or did Iran intentionally slip in a battleship image to counter Trump? Is Trump the candidate Iran fears most? A makeshift highway banner offers a chilling warning. 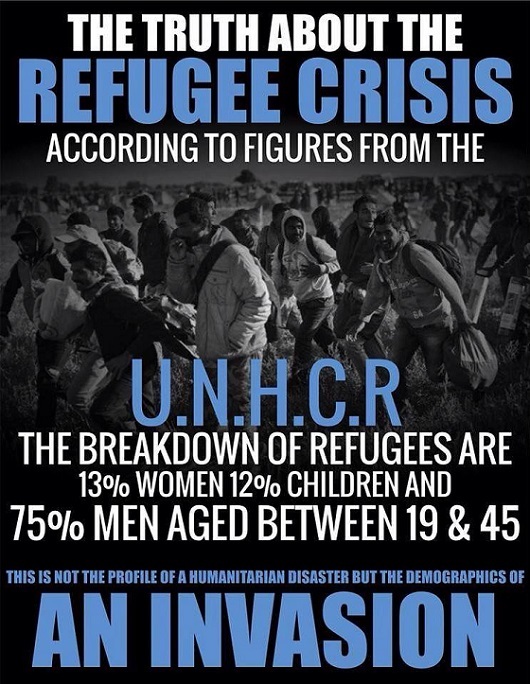 Want your country overrun with migrants? Have your nation's top leader start posing in selfies with new arrivals. Germany's Angela Merkel is doing just that. Does Merkel understand that many of the Muslim migrants she welcomes today may think of Jews much the same as Adolph Hitler did? "Salib Yussef, a 27-year-old from Aleppo, Syria, arrived in Horgos at 3 a.m. on Tuesday with two wives and two sons..."
Begs the question: How many polygamists are among the masses now flooding Europe? Perhaps only a handful have brought along their wives. But of the men now migrating alone, how many left multiple wives back home, and expect to send for them once they get settled? How far will Europe flex to accommodate polygamists arriving from the Middle East? There was a high school age girl who liked to date older Muslim men. She liked to watch YouTube videos produced by Jihadists. A blonde Danish teenager who murdered her mother after watching ISIS' sickening filmed beheadings of British hostages has been jailed along with her older jihadi lover. Lisa Borch was aged only 15 when in October last year she spent hours on YouTube watching footage of the savage decapitations of David Haines and Alan Henning. Afterwards she and her radical Muslim boyfriend Bakhtiar Mohammed Abdulla, 29, took a long-bladed kitchen knife and stabbed her mother Tina Römer Holtegaard at least 20 times at the home they shared in rural Kvissel. A court which sentenced Borch to nine years in jail heard how she became obsessed with militant Islam after falling in love with an unnamed Muslim man. But he jilted her when he moved back to Sweden to be with his wife and children. Nevertheless she found a new soulmate in Iraq-born Abdulla, whom she befriended after meeting at a refugee centre near her home. How many more impressionable young people are now being influenced by the migrants they meet as immigration numbers swell out of control across much of Europe? Michael Brown's funeral in Ferguson, the #BlackLivesMatter movement, and the killing of a Kentucky state trooper seem to have a common player. Mexico says it wants to be a player. Other Latin American countries expressing generosity as well. Mexico has decided to not be excluded from the Latin American trend to offer to receive Syrian refugees, according to a statement Thursday by the Foreign Minister Claudia Ruiz Massieu. “We are paying attention to the crisis, and we are mulling the possibility of receiving at one point some refugees, but we maintain our conviction that dialogue, peace and protection of people's rights in situation of asylum must prevail,” she said. We're witnessing world governments working in complicity to spread Islam's influence where it does not yet exist. As for those migrants bound for Mexico or Central America, how many will they stay there? How many will almost immediately set about on march for a destination to the north? Don't buy the Trojan Horse they're selling. "Fake or real Syrian passports have become a coveted commodity on the black market in Germany and other countries. In Bulgaria, the police recently 10,000 false Syrian passports safe. The documents will be sold for a lot of money to prospective customers because they are important for a successful application for asylum in the West." - from a report at Der Tagesspiegel. Translation via Google. Germany stops migrant-packed inbound trains. For another take, look at the photos accompanying a Daniel Hannan article in the Daily Mail. Seems "migrants" now pouring into Europe are well versed in skills like cutting through security fencing, infiltrating secure areas around rail stations and other sensitive areas. What's the risk some of those versed in these skills seek more than access to transportation, and attempt mass casualty terrorist acts? Jeb Bush can't stop talking about how America needs more immigrants. They start more businesses, birth more babies, are better at raising families, says Jeb. Jeb seems to see us citizens as a slacker underclass. Jeb Bush needs to find a nice little Central American country where he can run for president. "a German crane company operated by the Bin Laden family's consortium"
If it can't come to the aid of the disabled, what level of government disaster assistance should everyone else expect? The video, part of a series posted on YouTube more than two years ago, shows just over 47-hundred views as of this writing. If you manually cycle the same ammo rounds through your semi-auto firearms, you may want to reconsider or amend the practice. Repeated cycling of ammunition can lead to a critical failure according to a training bulletin released by the Gwinnett County (GA) Sheriff’s Department. According to the bulletin, a Gwinnett County police officer’s pistol failed to fire in a deadly force situation. The officer executed a “tap-rack-bang” drill to get back in the fight and successfully resolved the encounter. The round was returned to the manufacturer for analysis. They determined the primer had been rendered useless due to the cartridge having been cycled through the gun multiple times. An interview with the officer determined he unloaded his pistol when he got home every night, meaning two rounds were repeatedly chambered as many as 100 times each prior to the incident. I've probably done hundreds of cycles of some rounds, and never had a failure like the one described here. On the other hand, why take chances? Ammo used for defensive carry, if unloaded and loaded into the chamber on a repetitive basis, should probably be swapped out at some point and held aside for target practice. An article in the UK Express plays it straight, telling tales of fleeing migrants seeking refuge in far-flung places. But the Express also illustrates its story with a stack of selfie photos. Does a free iPhone come with standard refugee status? Progressive Democrat New York Governor Andrew Cuomo seemingly blames a lack of national control for the shooting of one of his aides in New York City early Monday morning. New York has some of the most severe restrictions on gun control in the nation. So severe, the state seems wary of trying to enforce some of them on a broad scale for fear of touching off an open, armed insurrection. Cuomo blames stolen or smuggled guns for problems in New York City when he says stronger national policy is needed. Name one state where gun theft or firearm straw purchases aren't already illegal. Maybe Gov. Cuomo should look at other causes of gang violence like the cross-fire that gravely wounded his aide. Maybe Gov Cuomo should look how perceptions of law and order have deteriorated in New York City since a Sandinista wannabe was sworn in as mayor. And for the record, New York City, under Mayor Bill De Blasio, claims crime has declined and that there are now fewer shootings in NYC, though De Blasio admits certain minority neighborhoods have stand-out problems. So, coming from even from De Blasio's position, what's with the hysteria Cuomo's trying to whip up? Some kind of military exercise now underway in the southeastern US reportedly poses risk of compromising aviation safety aids intended to prevent mid-air collisions. The FAA is warning pilots flying in the Southeast that ADS-B and TCAS traffic avoidance technology will be disrupted the entire month of September from Virginia to Florida because of "military activities." What kind of military exercise can justify intentional 30 day disruption of main-line civilian aviation safety aids? Update: Any chance a Russian spy ship, believed to be scouting underwater terrain and assets near Kings Bay, Georgia, has anything to do with the short-notice U.S. naval exercise? Also happening now, U.S. naval forces are conducting exercises with Ukraine in the Black Sea. Perhaps something Russia might attempt to counter or respond to in some way, somewhere. Anyone remember the Cold War? It appears to be back with a vengeance, though we've been saying that for a while now. A Tennessee judge recently refused to grant divorce to a straight couple, citing the U.S. Supreme Court's meddling in Tennessee marriage law. 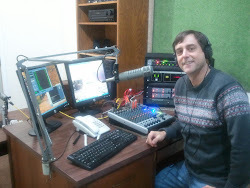 Jeffrey Atherton is an elected chancellor in Hamilton County, Tennessee's Chancery Court, a court with jurisdiction in civil areas. The Washington Post reports Atherton gave the Supreme Court quite the blistering in his non-divorce ruling. “Perhaps Tennessee’ s perspective concerning keystones and central institutions must submit to the perspective of those so much higher and wiser than ourselves,” he wrote sarcastically before essentially accusing the Supreme Court of trashing Tennessee’s constitution, if not democracy itself, by legalizing gay marriage. 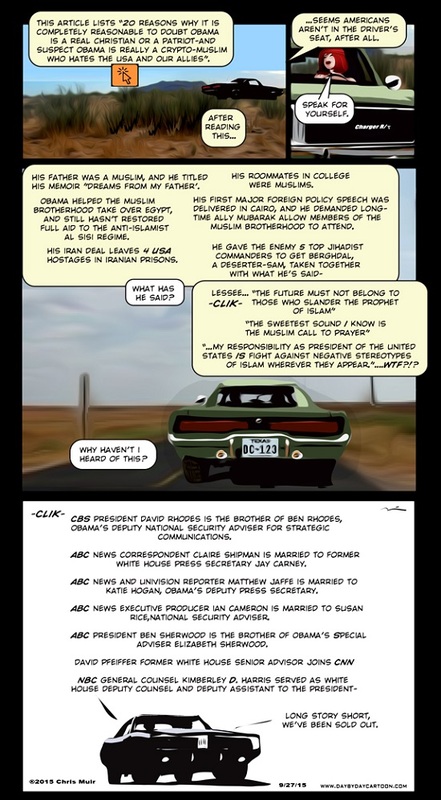 Things get complicated when branches of government overstep their bounds, or meddle in matters in hap hazzard ways. Barack Obama promised to usher in a fundamentally changed America. What we seem to be getting is a federal government, including a Supreme Court, that's willing to sacrifice perceptions of legitimacy for short term political expediency. Rule of law today isn't what it once was. Much is being made of the defiant court clerk in Rowan County, Kentucky. County Court Clerk Kim Davis is now jailed for contempt of court for refusing orders that she issue marriage licenses to gay couples. Bottom line, she's failed to fall in line with a new command of the federal government that didn't exist nine months ago when Davis took her oath of office. But is she really as out of line with today's America as her detractors contend? Overall, I suspect American government has begun to loose its luster of legitimacy. Davis is but one example of willful non-compliance. Obama's stance on immigration is another, as he contends he can usurp legislative power by way of a phone and his pen. States now legalize marijuana in violation of federal law. In Connecticut and New York, it's estimated that hundreds of thousands of gun owners may be in willful non compliance of gun registration laws enacted by those states a couple of years ago. Despite widespread non-compliance, those states have yet to launch any orchestrated attempt to identify and prosecute those committing what are felony violations. Meanwhile, established treaty practices outlined in the Constitution have been turned upside down in favor of "deals" like the one being cut with Iran, Secretary of State John Kerry has also signed the UN Small Arms Trade Treaty over the expressed objections of the US senators. In Obama's "fundamentally changed" America "Law of the land" apparently doesn't carry the kind of meaning it once did. Update: It's been noted by a friend that I overlooked mention the numerous "sanctuary cities" that refuse to enforce federal immigration law. It's now apparently illegal for employers to "discriminate" against illegal immigrants by asking them to prove their legal status. The Obama Justice Department has no tolerance for such things. After receiving pressure from the government, Nebraska Beef agreed to pay $200,000 in a civil penalty settlement and said they will establish an uncapped back pay fund for people who lost wages because they could not prove they are in the country legally. Remember when, to avoid offending China, the "Red Dawn" movie remake had to be re-cut to make North Korea the enemy? It now appears China's made a "Red Dawn" video of its own showing destruction of U.S. forces..
Ms. Clinton still feels the need to lecture a county court clerk in Kentucky about the necessity of upholding the law. Obama was up in Alaska this week, telling us we all need to keep a war eye on a melting glacier. Meanwhile, in the lower 48, hard to tell how many paid the preezy any heed. Most folks are preoccupied with other things. Some folks even talking race war. Carlos Anthony Hollins, 20, was arrested Wednesday after the La Plata (Maryland) Police Department was alerted to a tweet written by him. “I’m not gonna stand for this no. more. Tonight we purge! Kill all the white ppl in the town of La Plata #BlackLivesMatter” Hollins posted on his Twitter account Tuesday. Hollins isn't alone. And Twitter's not the only venue with themes of rising race war. There's a guy who calls himself King Noble on YouTube. "It's open season on killing whites and police." Sure, these appear to be marginal characters preaching an outlandish, marginal theme. But the calls appear to come from an increasing number of such characters, and with increasing frequency. Louis Farakhan of the Nation of Islam has especially seemed to up his rhetoric in the past year or so, but then hurls criticism at those who report his comments. It seems long ago, perhaps in another dimension, that Democrats told us the election of Barack Obama, America's first black president, would usher in a new age of post-racial America. What we got instead is a president who tells us to watch ice melt as black supremacists exhort followers to embrace some kind of black-on-white race war. Whether this race war comes to be, or (perhaps more accurately) rises to the point of being generally recognized as such, remains to be seen. Bernie Sanders sees House Speaker John Boehner and Senate Majority Leader Mitch McConnell as weak. Sanders expects they'll fall in line with his socialist agenda if he's elected president. Meanwhile, if Boehner is half as bad as a Clinton adviser assessed him to be in 2010, it can only be a betrayal of our trust that the GOP allowed him to rise to House speaker. If the Republican Party is faltering, it's an undoing that started at the top in a party that prefers to play Quisling games rather than assert leadership or stand of principle. College profs get called out after trying to ban words like "male" and "female" as oppressive hate speech. Yeah, "illegal alien" was on their hit list too. Chicago cops haul in hundreds of gun law violators. Apparently to little avail. How many of those busted for illegal possession of firearms bothered to go through the lawful process to obtain one? Probably a statistically insignificant number. In NY, you may soon need ID to buy a six-pack. No, not a six pack of beer. Coke, or Pepsi or something similar.